Back in the 90s, Moto Guzzi built a polizia version of its NTX 750 dual sport bike. Tall and imposing, it struck fear into the hordes of Italian teenagers tearing around without a license on mopeds and dirtbikes. One of those kids was Stefano Venier, who today runs the entirely respectable workshop Venier Customs. 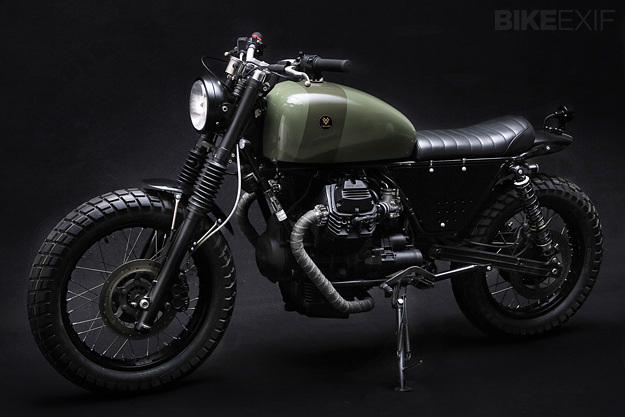 And he’s just turned the tables on the polizia by chopping up an NTX to create this very smart custom—with military-style paint and scrambler styling cues. 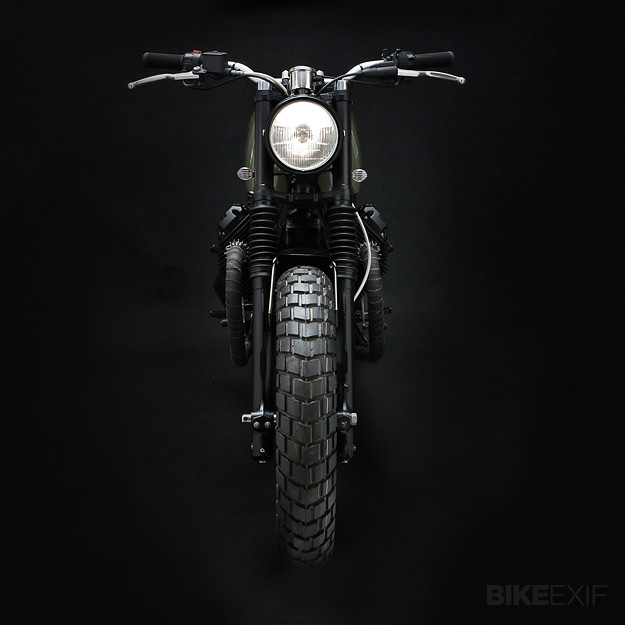 Venier calls this bike the ‘Tractor V75’ and little remains of the original NTX bodywork. The fenders, side panels, tank and bracketry are all new. He’s also changed the geometry, shortening the Marzocchi forks and retuning the Bitubo shocks. 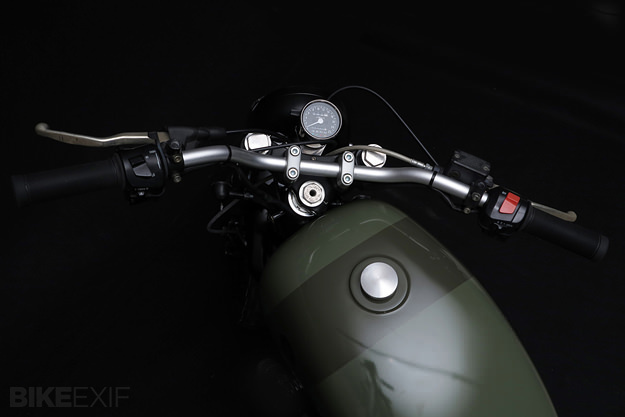 The rear subframe is also completely new, supporting a Brat-style seat that actually has useful padding. 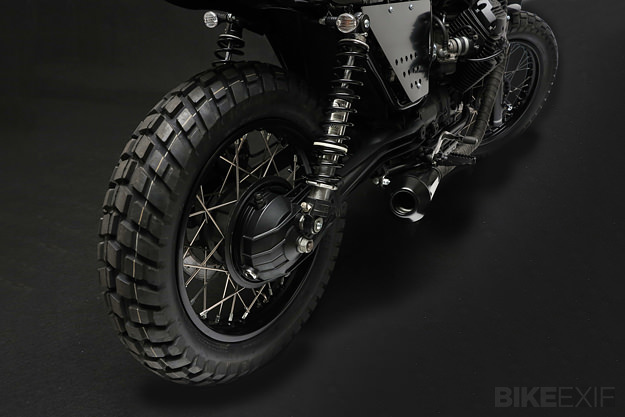 The tires are from Vee Rubber and there’s a custom 2-into-1 exhaust system. 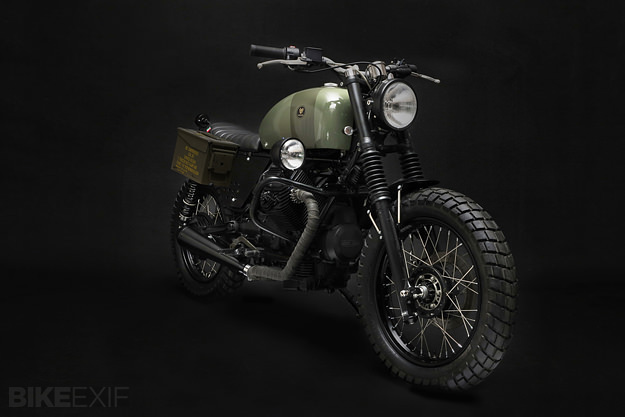 The overall look is low-key but very stylish, with the tank finished in olive green. (It also looks to be a good size, if not quite as large as the 30-liter NTX original.) And of course, being a Venier Customs build, the quality of workmanship is exemplary. 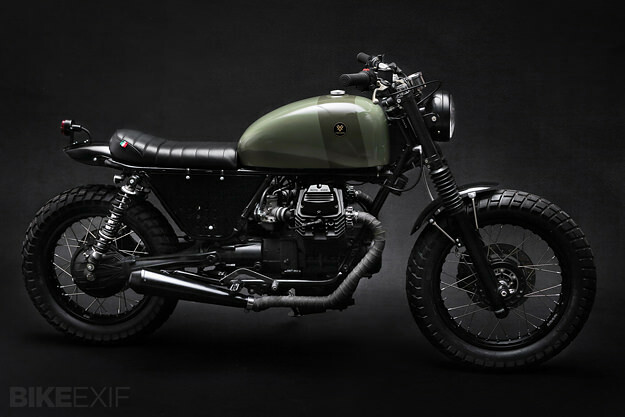 If you like Venier’s style, check out his lovely Moto Guzzi V75 ‘Corsaiola,’ the sister bike to this NTX. The Venier Customs website showcases more of Stefano’s work, and you can follow Venier’s news via the company Facebook page.